PowerShift e.V. is a Berlin-based NGO, founded in 2010, that aims to contribute to a change in global energy policy and economic relations by means of education, public relations, scientific research and political activities (our objectives). If we want a more ethical and fair world, current political and economical behaviour will have to change radically. Whether in Berlin, Germany or in Europe, that is what we are working for and we are proud to already have initiated, pushed and supported various campaigns and activities that work towards that change (our team). Our strength is to work from an ecological as well as from an developmental perspective. We introduce developmental aspects into the ecological debate and, vice versa, ecological challenges into the development field. We believe in the power of the many and strongly emphasize networking acitivities. Including relevant networks in each focus area is one of our great successes and we continue to view our active role of organizing and pushing these networks as a main task of Powershift. 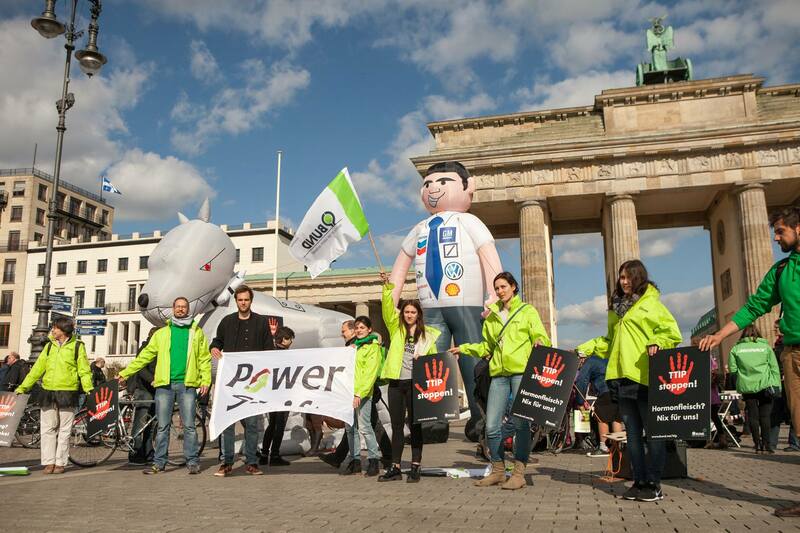 Powershift is one of the most important German NGOs working on international trade and investment policy. Alessa Hartmann coordinates the Working Group trade of the German NGO Forum Environment and Development and participates in the coordinating board of the Network Fair Trade (Netzwerk Gerechter Welthandel). Furthermore, she works on bilateral EU trade agreements (EU-Canada, Japan, Indonesia, Mercosur, etc. ), on regulatory cooperation and on e-Commerce in trade agreements concerning resources and trade. Her collegue Peter Fuch is actively involved in the coordination of the European Seattle to Brussels Network and focuses on the rights of foreign investors to take recourse to investor-state dispute settlements (ISDS). Powershift was mainly responsible for publishing the “Demands for an Sustainable Raw Material Strategy” in 2010 and has been working on resource policy from different perspectives since then (i.a. industry 4.0, alternatives, conflict minerals). 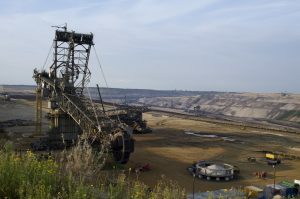 In order to strengthen the coorporation of German NGOs working critically on raw materials, the working group on raw materials (AK Rohstoffe) was founded and, in 2013, a full time coordination post within Powershift was established. 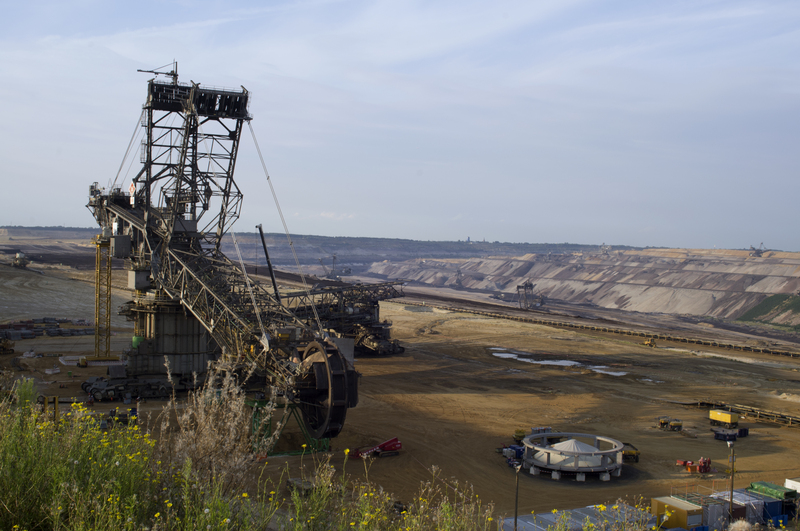 Until now, almost 40 organisations support the joint paper demanding a democratic and globally just resource policy (in German only: “Für eine demokratische und global gerechte Rohstoffpolitik”). Morever, we are well connected on the European level. 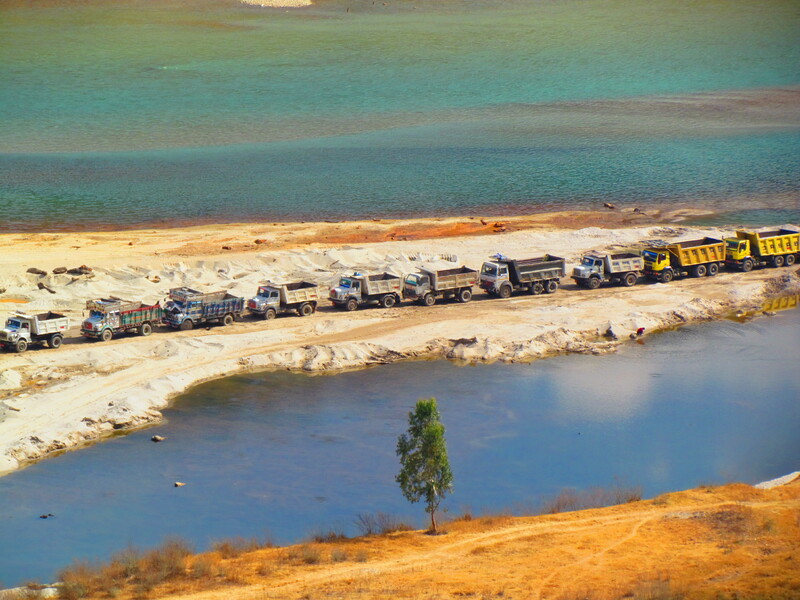 Since 2014, we work together with Global Witness, Amnesty International and others in a core group on conflict minerals (see Global Witness) and since 2015, we joined with various other European NGOs in the Alliance Stop Mad Mining. Led by the CEEWeb from Hungary and the German Christian Initiative Romero (CiR), we push the protection of human rights and consumption reduction up the European agenda. 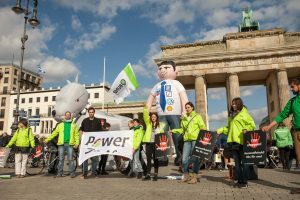 Through the campaign to re-communize the energy grid of Berlin (Neue Energie für Berlin – Netze in Bürgerhand! ), we supported the founding of the Berlin Energy Round (Berliner Energietisches) and attracted a lot of public attention. 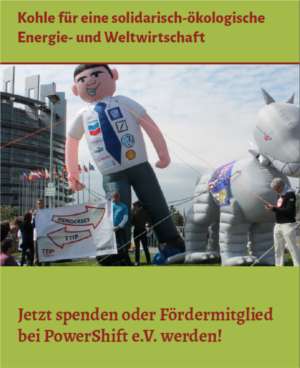 Powershift also included the aspect of energy policy, climate and resource justice into the position paper of the Berliner Entwicklungspolitischen Ratschlags (BER e.V.) and could thereby create a link between the city’s social development and climate related scene. Currently, we focus on campagins against coal, such as the Energie Energy4life campaign, but also work on the issue of gas infrastructure and renewable energies . Across all three areas, we closely work together with “CorA. 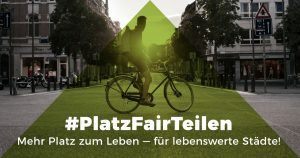 Corporate Accountability – Netzwerk für Unternehmensverantwortung”, a network that aims to increase accountability, transparency and responsibility of European companies along their global supply chains.